RANGERS fell to a 7-1 Sky Bet Championship defeat at the Hawthorns, with West Brom’s scintillating second-half performance resulting in this crushing defeat. 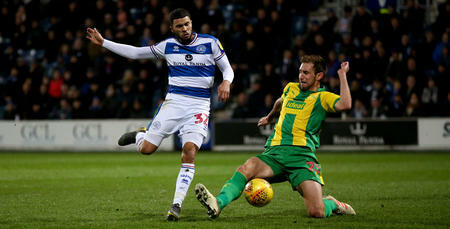 Former QPR man Matt Phillips struck against his former employers in the 29th minute, following up after Matt Ingram had initially saved from Dwight Gayle. The R’s then equalised only five minutes later, as Joel Lynch applied the finishing touch to a visiting set-piece move. Rangers went in level at the break – though couldn't live with their former Premier League counterparts thereafter. 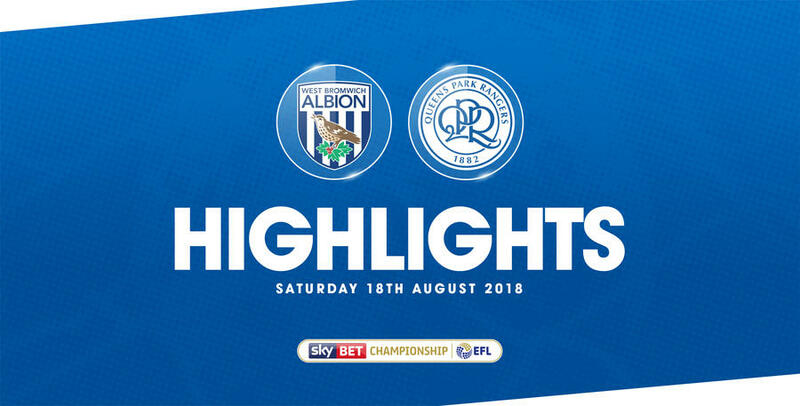 Indeed, Kieran Gibbs (53 minutes), Jay Rodriguez (56 and 82, both penalties), Gayle (67), Phillips again (88) and Hal Robson-Kanu (90+1) all struck after half-time, as the Baggies cruised to victory in the end. Following Tuesday night’s 2-0 Carabao Cup win over Peterborough United in W12, Hoops boss Steve McClaren made two changes to the team overcome by Sheffield United at Loftus Road in our last league fixture. Jordan Cousins and Matt Smith came into QPR’s starting XI, with Paul Smyth and Idrissa Sylla dropping down to the substitutes’ bench. New signing Angel Rangel wasn’t included in the 18-man squad, with the former Swansea City full-back not quite match fit – likewise Bright Osayi-Samuel, owing to personal reasons. The R’s lined up in a 4-3-3 formation: Ingram; Osman Kakay, Toni Leistner (captain), Lynch, Jake Bidwell; Massimo Luongo, Josh Scowen, Cousins; Ebere Eze, Smith, Luke Freeman. The first five minutes of this Hawthorns affair were relatively even before, territorially at least, hosts West Brom took control of the next 10. But to their credit, Rangers defended stoutly – resisting an intense spell of Baggies pressure. The first real effort of the match didn’t arrive until the 23rd minute. Home striker Rodriguez fired over from 20 yards. Then, a minute later, Sam Johnstone was tested from a similar distance, as Luongo’s half-volley ended up in the arms of the West Brom goalkeeper. Rangers’ resistance was finally broken just short of the half-hour mark. In an advanced position down the left, Harvey Barnes pulled the ball back to a waiting Gayle in the box, who in turn forced a fine low reaction save from Ingram. However, West Brom weren’t done there – and when the ball darted into the path of Phillips, the former R’s winger followed up to hammer home from inside the penalty area. Undeterred, it took Rangers only five minutes to force a reply. Freeman’s floated free-kick from the right was headed back across goal by Smith, before Lynch nipped in at the back post to haul the R’s level. 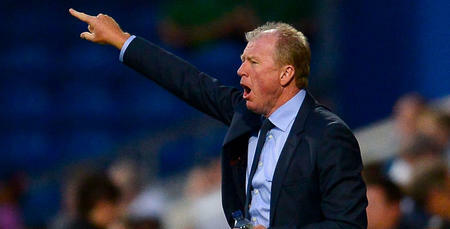 Parity restored – and McClaren’s men finished the first half with added confidence, following their equalising goal. Rangers also went close just two minutes after the re-start. Luongo took control of Cousins’ low ball in from the right, before eventually sending a looping effort only inches past the upright. But the Hoops were behind again come the 53rd minute. Barnes’ effort from 16 yards cannoned back off the foot of the left-hand post, then Gibbs took control before shooting home from eight yards. And things weren’t about to get much better for Rangers, who conceded a third only three minutes later. The goal came from the penalty spot, after Scowen tripped Gayle in the box. Rodriguez subsequently stepped up to register his third goal of the Championship campaign. From nowhere, QPR now had it all to do. McClaren responded by bringing on Conor Washington in the 58th minute, at the expense of Eze. However, Rangers simply couldn’t get going after Albion’s third goal – with Gayle adding a fourth in the 67th minute. Gibbs capitalised on a mix-up between Kakay and Leistner, breaking away down the left before rolling the ball across goal for Gayle to finish easily. Rodriguez then another goal from the penalty spot, West Brom's fifth, after Ingram felled Gayle in the area. Phillips and sub Robson-Kanu added further salt to the wounds with strikes in minutes 88 and 90+1 - both tapping in at close range to rubber-stamp this emphatic win for the hosts. 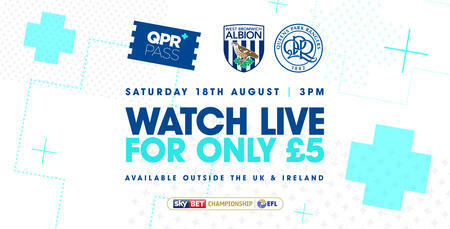 WATCH highlights from QPR’s 7-1 defeat to West Bromwich Albion at The Hawthorns on Saturday afternoon.